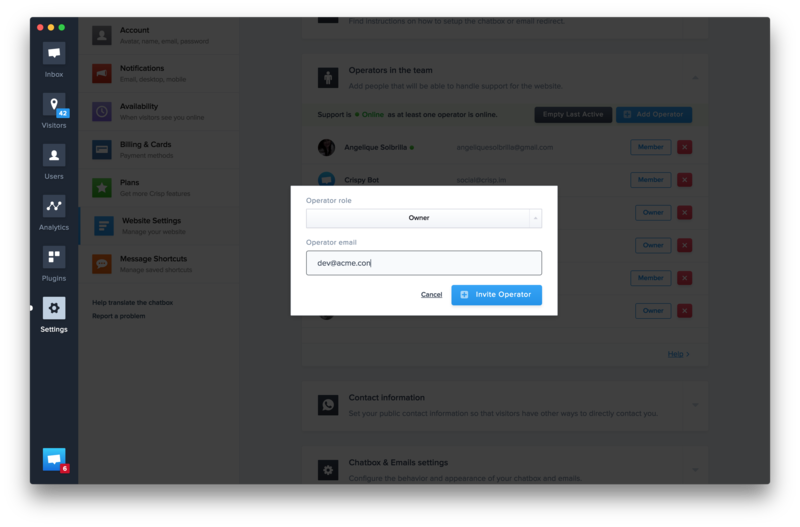 Crisp allows to manage multiple websites using the same account/email, so you don&apos;t have to logout to reply to customers. At Crisp, all the accounts are individual and can be connect to multiple websites. From instance, an account john@doe.com can be attached to different websites. If John creates a new company, he will be able to use the same account to manage acme.com and example.com. 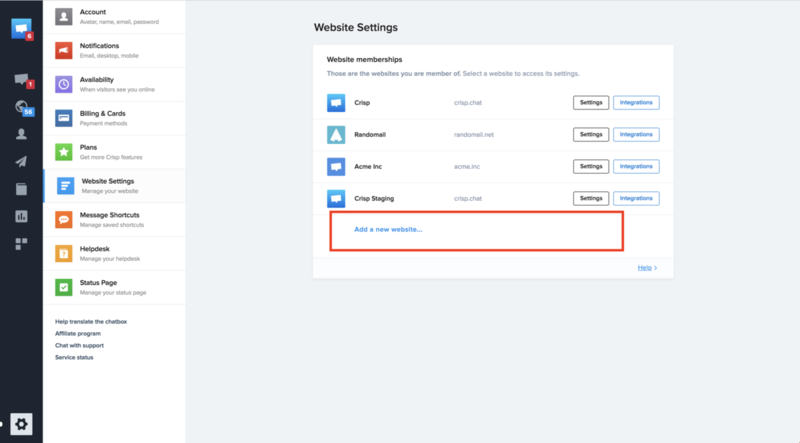 Acme.com and example.com can have different subscriptions. One can be free and the other paid for instance. This system was made to let companies and entrepreneurs having different brands to manage all their customer relationship on the same roof. Crisp subscriptions are per website. If you need two premium websites, it will require two paid subscriptions. In this case, we offer rebates. You can check our rebates for multiple sites here. How to create a new website with my account? - Go to website settings. - Then, you will be able to create your new website. How to invite agents on a new website? 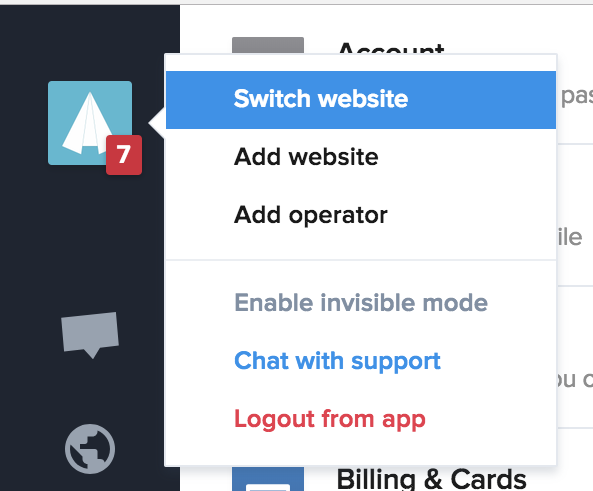 To switch websites, please click on the upper left corner in your Crisp dashboard. And then switch website. On the Crisp mobile apps, you can switch by clicking on the bottom right corner.